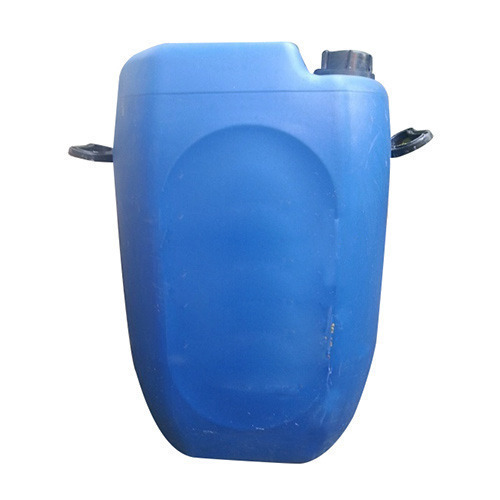 Water treatment chemicals is completely water-soluble. It has effective deposit prevention capability even at highly alkaline pH. Unlike the phosphate based scale inhibitor ADWT-1121L works at significantly low dosage level. It is also more versatile because it can prevent deposits of both carbonate & sulphate salts of Calcium, Barium and Strontium. The product is compatible with all types of membranes and will not violate membrane warranties. It also confirms to the standards laid down by Dow chemicals U.S.A for their Filmtec membranes. We have accomplished proficiency in providing optimum quality R.O. Antiscalant and Cleaner. These offered products are formulated at our production unit under the rigorous management of endowed professionals using to supreme quality material and ultra-modern production techniques. 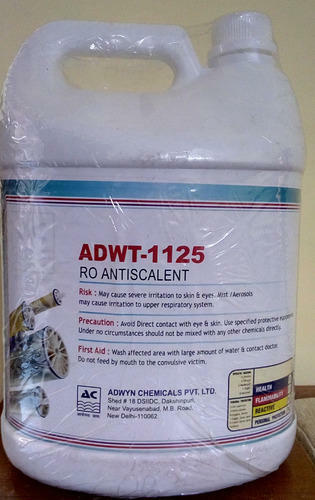 As the leading manufacturer, trader, wholesaler and supplier in the concerned field, we offer a quality grade of RO Antiscalant Chemical. The offered chemical is processed using superior quality chemical compounds and modern technology as per the industry standards. Owing to its various quality features, this chemical is available in variegated packaging options. We offer this chemical to our clients after checking it against different parameters. In order to meet the various requirements of our esteemed clients, we are engaged in offering optimum quality Membrane Cleaner. 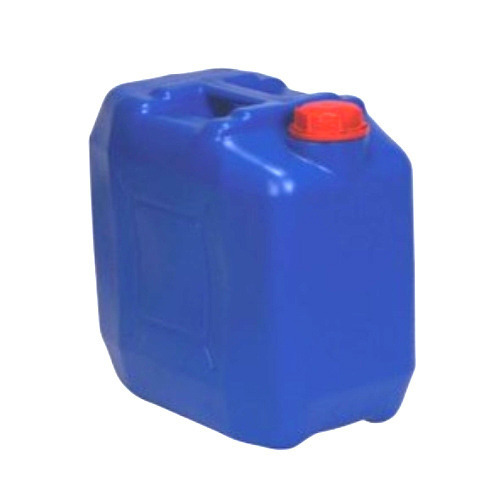 The offered cleaner is processed using the finest quality chemical compounds and highly developed techniques as per the set industry standards by our experts. In order to make sure faultlessness in the offered cleaner, our quality examiners test them against diverse parameters. Apart from this, this cleaner is available in diverse packaging options, as per the requirement of our clients. Membrane cleaner is a low pH membrane cleaner for removal of metal oxides. Dilutes quickly and easily to form a solution that vigorously releases membrane foulants without harming the membrane surface. Removal of the following inorganic and metals: Calcium Carbonate Strontium Sulfate, Calcium Sulfate Polymers/Dyes, Calcium Fluoride iron/Aluminum and other metal oxides, Barium Sulfate. 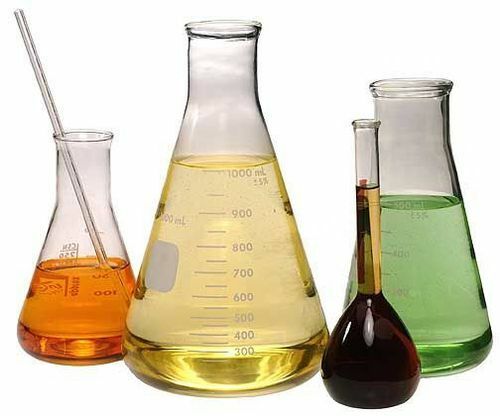 removal of the following inorganics and metals: Calcium Carbonate Strontium Sulfate, Calcium Sulfate Polymers/Dyes, Calcium Fluoride iron/Aluminum and other metal oxides, Barium Sulfate. Since our inception, we are instrumental in offering premium quality Cooling Water Treatment Chemical that is used for the treatment of cooling water. The offered treatment chemical is processed using high grade chemical compounds and ultra-modern technology. Owing to its different quality features, this treatment chemical is available in different packaging options. Our provided treatment chemical is tested by our quality examiners on different parameters so as to ensure its flawlessness. By keeping track with the latest market development, we introduce high quality PH Booster that is used to reduce corrosion of lines & pump. The offered booster is processed using optimum quality chemical compounds and modern technology in sync with industry norms. Our provided booster is tested on different parameters so as to ensure its quality at clients’ end. Besides, we offer this booster to our clients in various packaging options. Looking for “Water Treatment Chemicals ”?